Oregon Trail?). Our favorite videogames are also there for us when things aren’t so easy in real life. We feel like we have a friend in the characters we love, and the comfort of playing our favorite games can help us through tough times. Thanks to Sam’s Etched in Time for donating and customizing these trophies! [/caption] Our event was a success, with a local pizza shop donating food for the kids, and Sam’s Etched in Time donating two customized trophies! “How do I work this thing!” group shot! I tell people who are concerned about the violence depicted in some videogames that videogames are a tool we can use for good things or for bad things. They don’t make someone good or bad. But no one can deny that videogames engage us like no other form of entertainment the world has seen. We’re just now realizing the immense impact videogaming has had (and will have, especially with Virtual Reality here) on our lives. 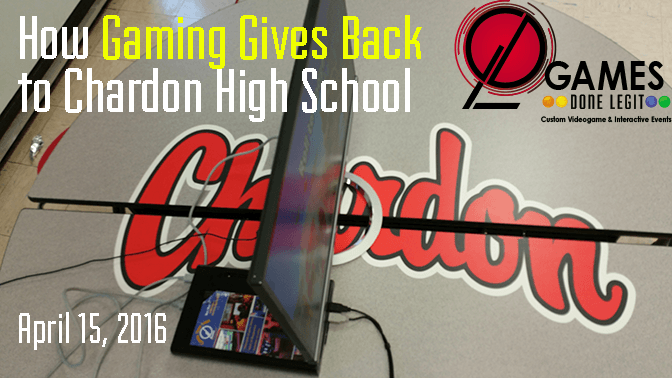 It’s up to us to find new ways gaming gives back to us all in fun ways that can also impact the world around us.